Student-led and focused on creating great opportunities beyond the classroom, the Plymouth Student Law Society is a vibrant hub for your social and professional activities. 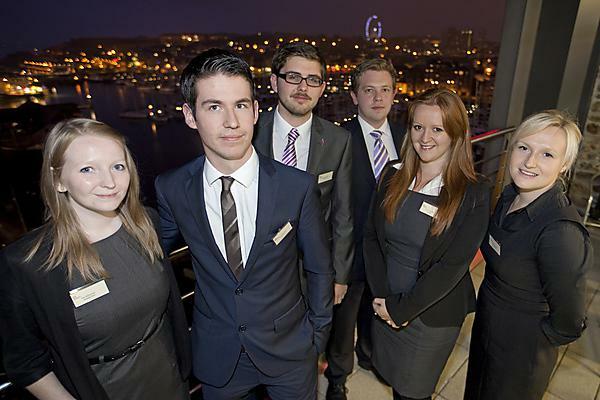 With a long track record of connecting Plymouth law students with the legal profession on a local and national level, the society organises renowned networking events, hosts high-profile guest speakers and supports members taking part in highly-regarded competitions. These competitions are commended by external examiners and employers for boosting employability. Prizes often include placements with firms that are keen to work with students who have performed well. Mooting is essentially a mock trial. It develops a range of valuable skills – not just advocacy but also research, evaluation, decision-making, teamwork and performing under pressure. Internal competitions culminate with a final in the Plymouth Guildhall in front of a real judge. External competitions attract students from universities from all over the country. Plymouth students recently won the prestigious UK Law Students’ Association mooting competition and have also previously been runners-up. A team of Plymouth students recently won the national FLUX competition – a cross between Dragon’s Den and The Apprentice. Having won the chance to represent the University, the team went on to claim the national title beating students from finance, business and management courses across the UK. Skills in analysis, critique, presenting and debating were all key to their victory. As well as networking with other competitors, the team also developed great links with the professional judges, including law firms for whom most of them are now working. Find out more about FLUX. Students from across the University are interviewed by a range of prospective employers culminating in a panel interview in front of an audience. Success requires excellent skills in presenting, thinking on your feet, using evidence effectively, thinking laterally and remaining composed under pressure. A law student recently won Hot Seat beating 60 other competitors, showing the depth of her transferable skills. Find out more about Hot Seat.